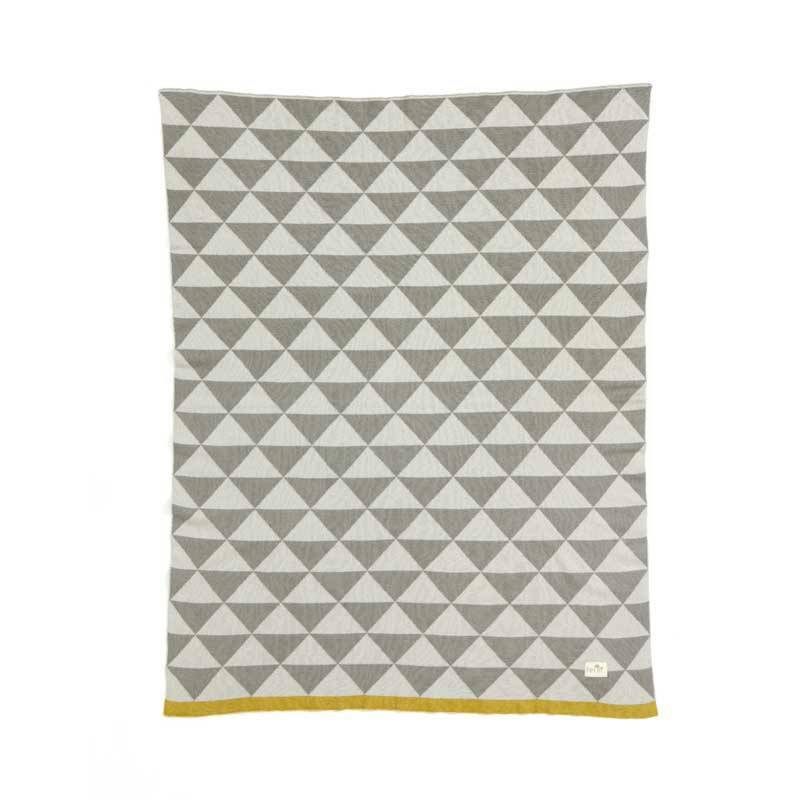 This grey Remix plaid is a classic from the collection of Ferm Living. 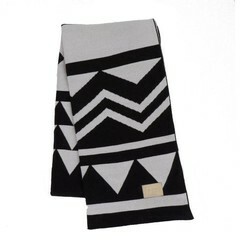 Made of soft knitted cotton with a mustard yellow edge. Size 120x150 cm. 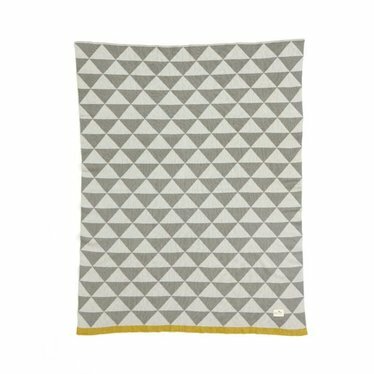 The Remix plaid is a classic from the Ferm Living collection. 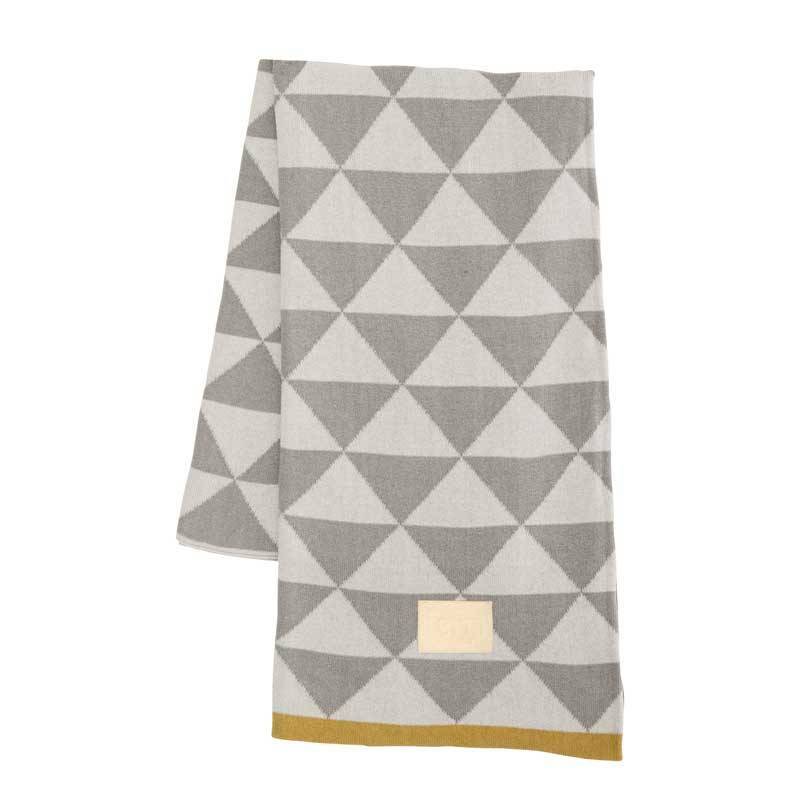 The graphic pattern in soft gray colors will not get bored and that makes this plaid a good investment for your house, garden and balcony. The plaid is knitted jaquard.